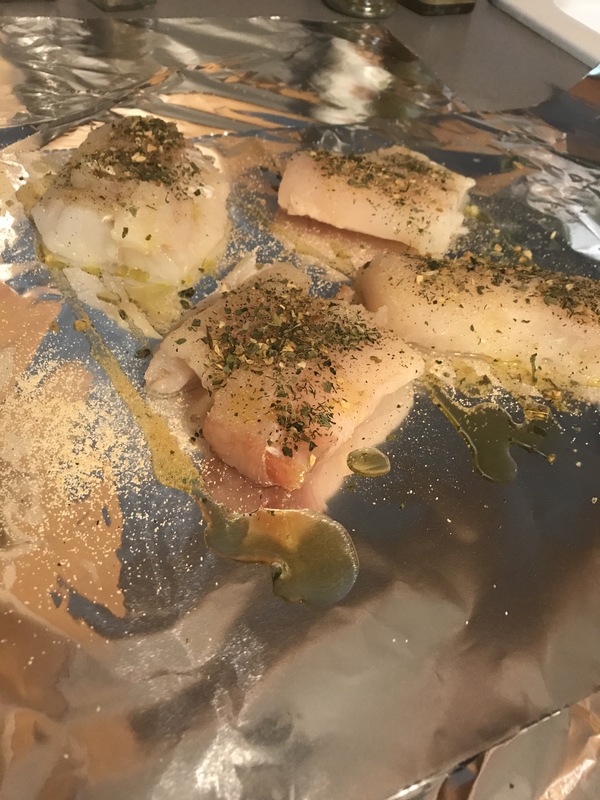 Spray a foil covered sheet pan with olive oil spray and place fish on top of the greased foil. 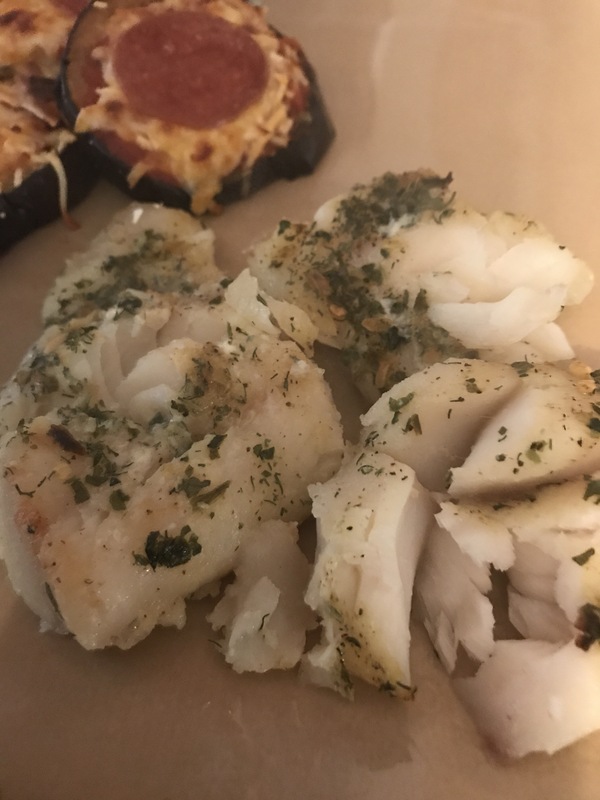 Sprinkle each piece of fish with a little olive oil, salt, pepper, garlic powder, a squeeze of lemon and finally the Tastefully Simple Spinach and Herb Seasoning. This seasoning is great! I usually use it for dips but it’s great on potatoes, chicken and fish! 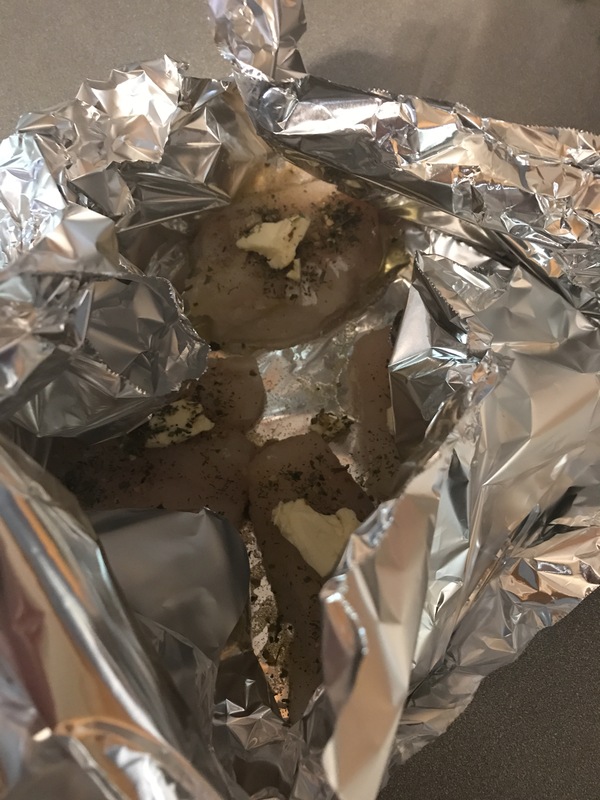 Before placing your pan in the oven, dot each piece with butter and fold up the sides of my foil to let the fish steam. I baked these for 20 minutes at 425°. Make sure the fish is white and can be flaked with a fork. Line a baking sheet with foil and spray with olive oil spray. Place chicken on foil-lined sheet and drizzle fish with olive oil and sprinkle with salt, pepper, garlic powder, a squeeze of lemon and Tastefully Simple's Spinach and Herb seasoning. Dot each piece of fish with a little butter and fold up the sides of the foil up around the fish to steam. Bake at 425 degrees for 20 minutes or until fish is white and can be flaked with a fork.